Come spend a weekend in a paradise in Búzios! Great for families! Package and prices differentiated for 10 people! 6 peoples ! 4 people! Send an email asking !!! In a large plot of 930 m2, all lawn, with orchard and vegetable garden, many flowers we have 02 chalets, almost a site, besides the suite of the barbecue. Each cottage consists of ground floor, with sofa, TV and setting for a romantic little dinner, and corner for the couple. Besides Mezzanine also with double bed. Besides these two cottages, we have a delicious barbecue and a gazebo with shade and warmth. Stay in complete comfort and tranquility, 5 km from Buzios Portal. 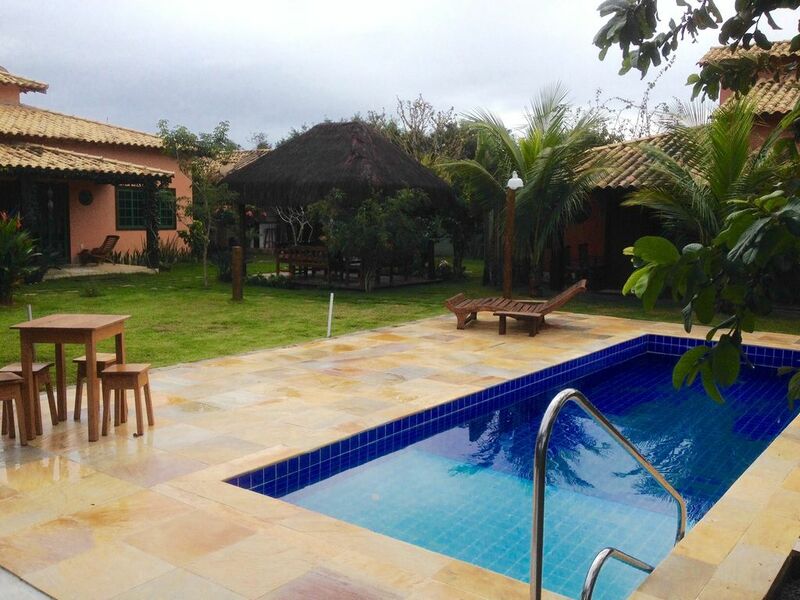 A country house in Buzios !!!! Sleeps up to 10 people in comfort! At the entrance we will make the water count in the hydrometre. At the exit idem, and we will calculate the water spent! SAVE WATER AND LIGHT !!! Gorgeous bathrooms, see the photos. The domesticated will regularly water the garden. If the guest wishes, we can provide a cleaner that can clean the house, since settled directly with the host. Our house is at Condo Caravela Nina, Búzios porch of 5km, in Buzios, Cabo Frio road in front of the Resort APA PAU BRAZIL, 2 km from Caravelas Beach.